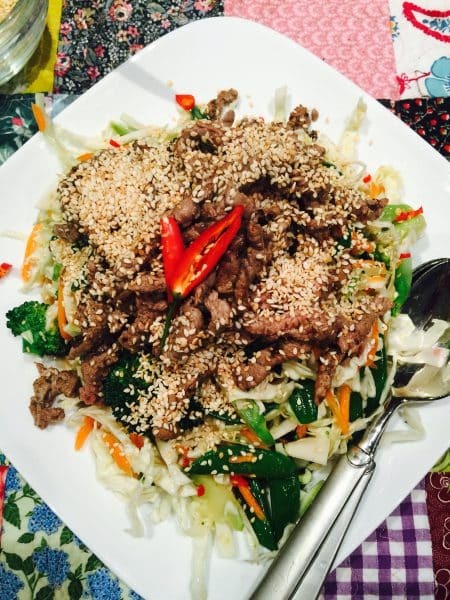 What’s Cooking?…Warm Beef and Sesame Salad. Warm salads, I find, are so enjoyable. Fresh, tasty, healthy, a bit bitey and satisfying. Preparation time and cooking are minimal. 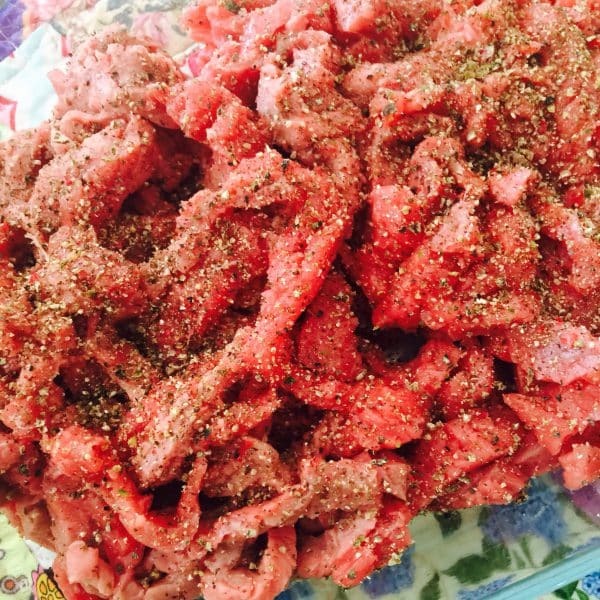 500g (1lb) round or rump steak, tenderised. Cut the beef into thin strips. Season well with freshly ground black pepper. Refrigerate until required. Toast the sesame seeds in a heavy based pan until golden. Remove from heat and decant to a small bowl until required. Prepare all the salad vegetables. 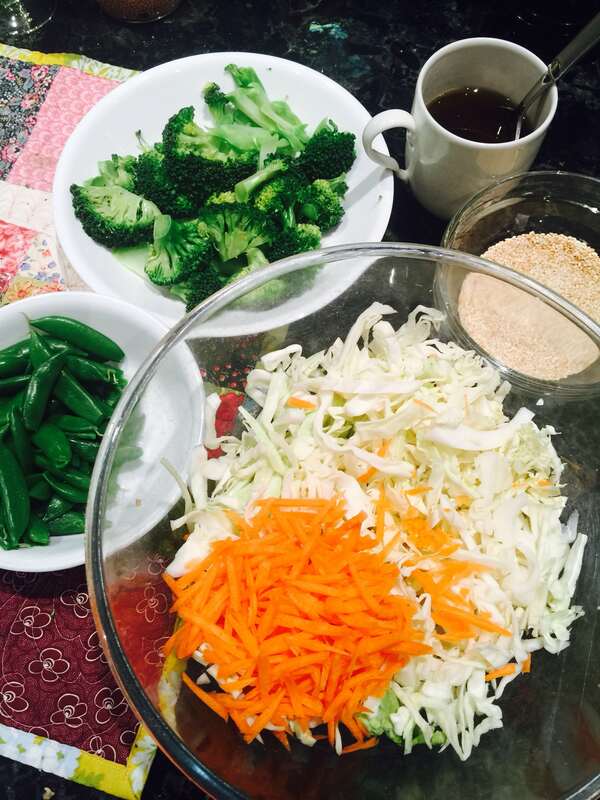 Once the peas and broccoli are cooled, mix together with the shredded carrot, cabbage, onion. Use a cup or small jug to mix the ingredients for the dressing. Allow to stand for a few minutes. Heat a wok or heavy based pan on high with a little peanut oil. 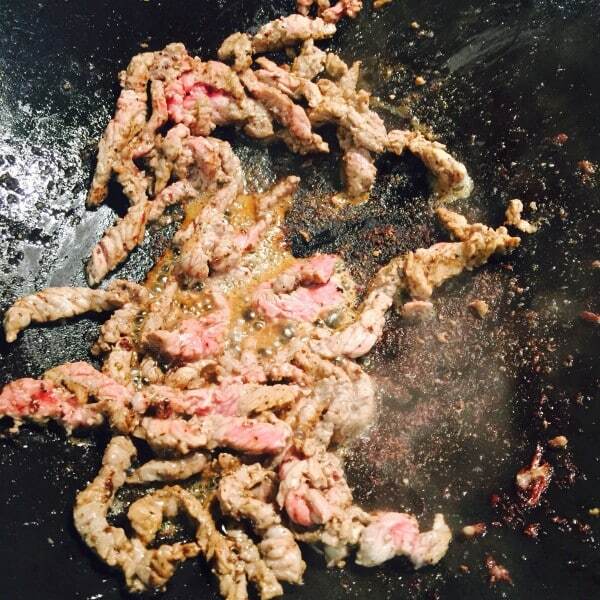 Fry beef in small batches for about one minute each or until the beef changes colour. 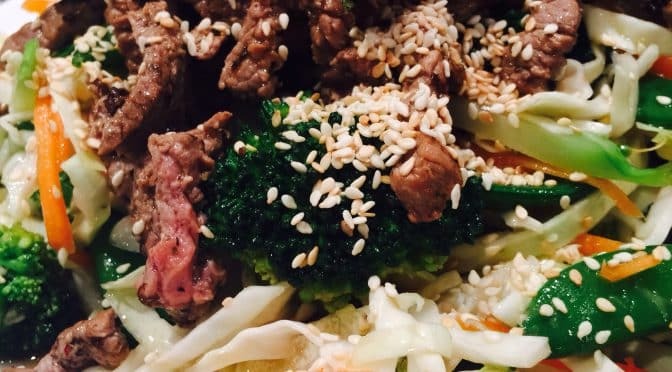 Once all the beef is cooked, mix the dressing once more the pour over the salad and mix well to coat all the vegetables. Ladle the salad onto a serving platter. Tumble the beef strips over the top. Sprinkle with the toasted sesame seeds and garnish with chilli. Serve immediately.